Shipping for all orders between the 18th and 22nd of April will be delayed due to public holidays. Falling ill while on holiday is no fun. We've rounded up the best ways to get you back on your feet and in holiday mode. Falling ill while on holiday is no fun. We’ve rounded up the best ways to get you back on your feet and in holiday mode. We’ve all been there. Just as we head off for a long-awaited holiday, we come down with a cold. Known as ‘leisure sickness’, symptoms tend to hit just as you begin to relax. 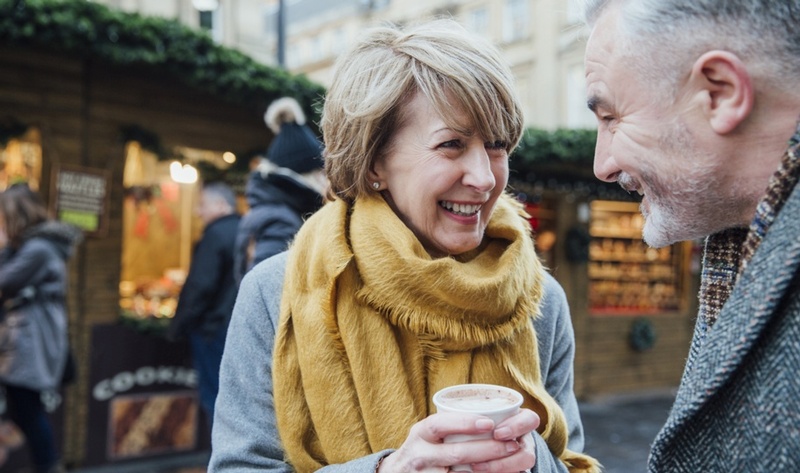 Luckily, there are ways to reboot your health in time for you to enjoy your well-earned break. But why do we get ill just as we’re about to have some time off from the daily grind? According to a Dutch survey, it may be that we get stressed and overworked in the lead up to our holidays. Once we’re on our break our bodies then take the opportunity to rest – sometimes falling ill. While it’s great to get as much rest and relaxation during your holiday, it should be for enjoyment, not to recover from illness. Taking time out to recharge and destress is the beauty of a well-earned break. It’s thought that prolonged stress can negatively affect the immune system, leaving you more susceptible to the common cold, and potentially affecting the speed at which you recover. Help your immune system with some holiday yoga classes, barefoot walks along the beach, quality rest and eating well. What you eat can help you recover from a holiday illness. If it’s a cold you’re suffering from, then order some homemade chicken soup (which may help soothe upper respiratory problems), and some hot honey and fresh lemon tea. Load up your plate with a rainbow of colours, to ensure you’re getting all the micro-nutrients your body needs to fight illness and help strengthen your immune system. And while a drink a day may generally have some health benefits, it’s best to keep the bar tab in check. If you’ve come down with a chesty cough, you can turn to Ivy leaf to help get it off your chest. . 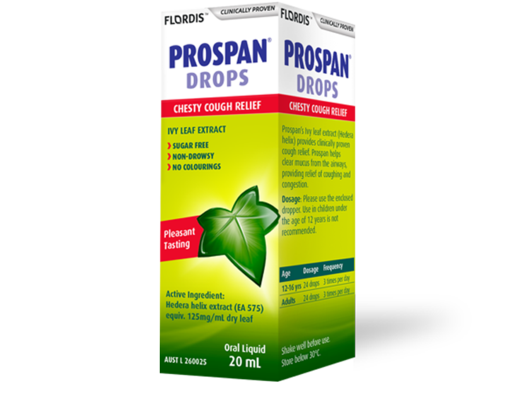 The clinically researched extract of Ivy leaf, known as EA 575, found in Prospan® Cough Lozenges is ideal to help relieve nasty chesty coughs and chest congestion during a cold, so you can get back to holiday bliss. And if you’re flying to your destination, keep in mind that you may be more exposed to germs and at higher risk of catching a cold. Make sure you wash your hands more, like before eating, after sneezing and after using the bathroom, to reduce your chances of falling ill.
Extensive research and careful processing methods mean that both adults and children can benefit from a reliable cough remedy made from ivy leaves. Copyright © 2019 Flordis Australia. All rights reserved.